Three events aimed at supporting residents living with dementia are heading to Sefton later this month. 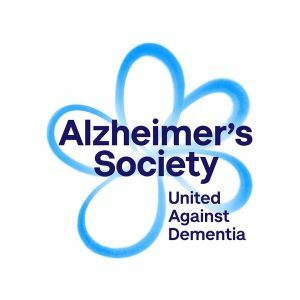 Side by Side, the Alzheimer’s Society’s volunteering service, is holding a volunteer recruitment event on Thursday 21 February, 11am-12.30pm at Lord Street Hotel. Side by Side is a service that helps people living with dementia to play an active part in their community so they can continue to lead an independent life. The event will provide more information about Side by Side and the range of volunteering opportunities available. Alzheimer’s Society Sefton will be holding a pop-up Memory Café on Friday 22 February at Lydiate Village Centre from 12-2pm. This is a chance for those who may be worried about their memory or those who have or care for someone with dementia to have a chat and a cuppa. Staff from the Alzheimer’s Society will be on hand to share information about dementia and the support available locally. Finally, a dementia awareness talk will take place on Saturday 23 February, 10:30am to 1pm at the Kindfulness Café in Bootle. This is a chance to learn more about the symptoms and behaviours of dementia, risk factors and how to reduce them and local Alzheimer’s Society services. To book a place please call the Kindfullness Café on 0151 287 2704 or 01704 539957. Throughout 2019, Sefton is celebrating its Year of Friendship to help tackle loneliness and social isolation. These events are key to supporting residents who are living with dementia and their carers.